The Iceland national men’s football team has risen to the spotlight as the smallest nation ever to qualify for the FIFA World Cup- what an exciting year for our country! From our team’s humble beginnings over 70 years ago, to ranking 18th in FIFA’s worldwide list of national teams this year, it’s been quite a ride. Read on to find out more about what makes Iceland’s national team so special, and why our fans are among the most enthusiastic in the world! 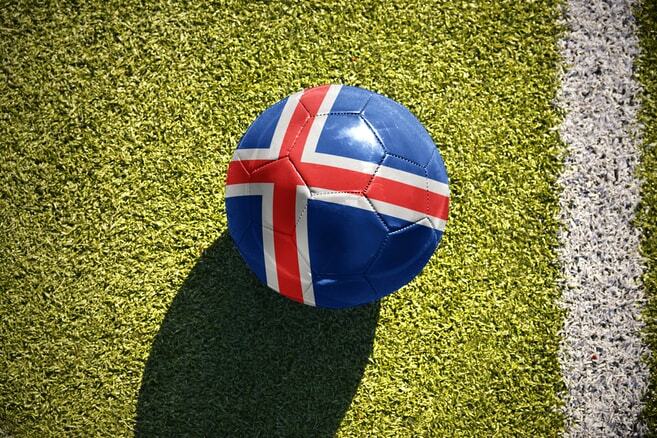 The first official match of the Iceland national football team was against Denmark in July of 1946. Though Denmark came out victorious, Iceland’s team would go on to win our first international victory against Finland just one year later. Let’s fast forward to 2012… a low point in Iceland’s football history, with the team in the 131st position on FIFA’s world ranking of national football teams, our lowest ever. We participated in the World Cup qualifier that year, but did not qualify. In 2014, Iceland again participated in the World Cup qualifier and made it to the playoffs, but lost to Croatia, and didn’t advance. But more success would soon follow! For the European Cup in 2016, we placed second in our group and qualified for the finals. 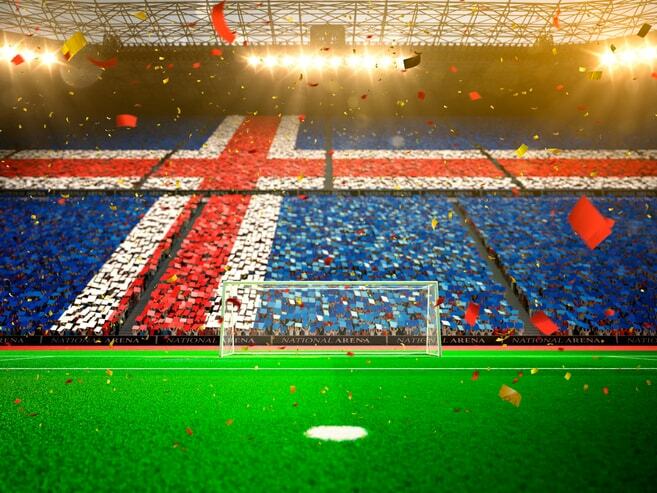 This was the first time in history that Iceland had a team in such a major tournament, and the excitement and pride could be felt throughout the country. The team surprised everyone and went all the way to quarter-finals, recording a tie against Portugal and Hungary and winning against Austria, and then securing a shocking win against England in the stage of elimination. We then met France for quarter-finals, but lost that game 5-2. It’s always disappointing to lose, but I think the Icelandic nation has never been prouder of our team; we celebrated the result in UEFA Euro 2016 as a big victory for Iceland. Hours after the match ended, and all the French fans had left the stadium, Icelandic fans were still there cheering for our team! 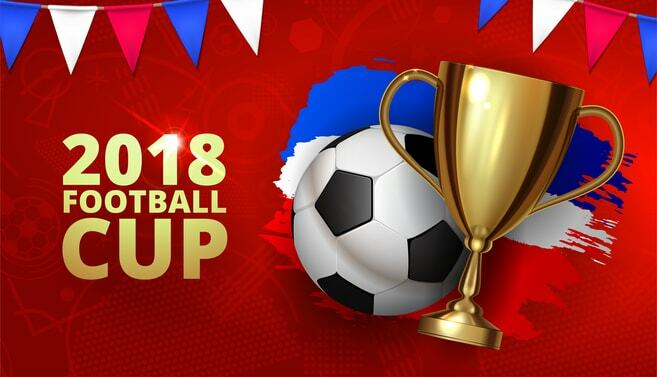 In March of 2018, Iceland had reached number 18 on FIFA’s ranking of the world’s national football teams, jumping 113 places in only 6 years and becoming a favorite team for many throughout the world. Our current ranking on FIFA’s list, as of June 2018, is 22nd. Possibly the greatest accomplishment of our incredible national team was qualifying for the 2018 World Cup- Iceland’s first time ever! 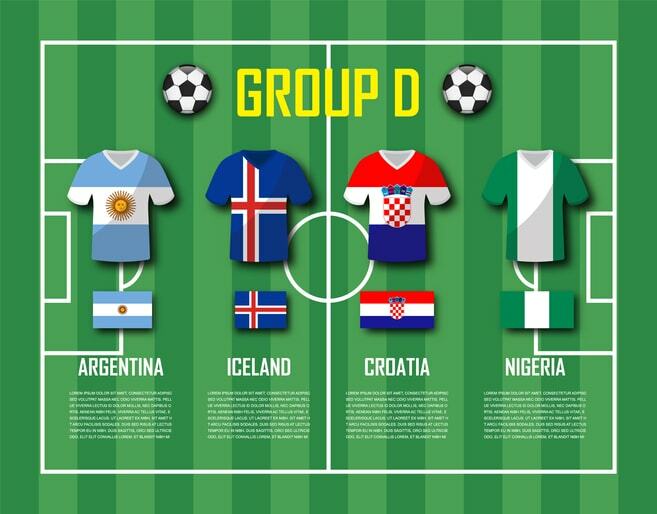 We were in Group D with Argentina, Croatia and Nigeria… a tough one! Our first game against Argentina on June 16th ended with a 1-1 draw, great results for Iceland. The next game was against Nigeria, and it didn’t quite go as planned, ending in a 2-0 loss for our team. We advanced to the next game with our heads held high, and gave it our best. It was a grueling match, and ultimately Croatia won the game 2-1, eliminating Iceland from the tournament. 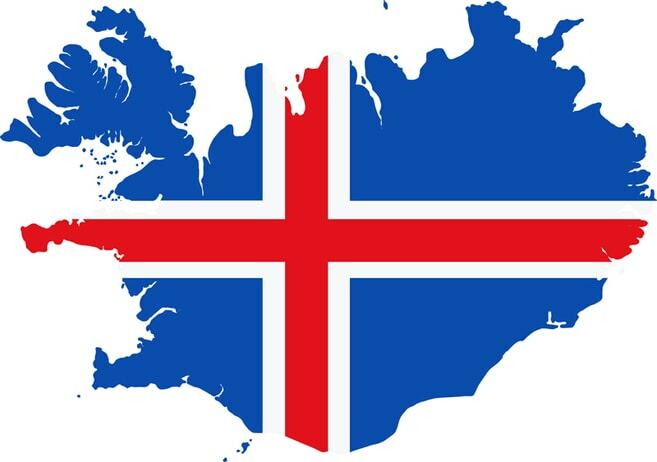 The current coach of the male Icelandic national football team, Heimir Hallgrímsson, was born and raised in the tiny island of Vestmannaeyjar. In his hometown, he is known as the friendly dentist who is simply taking a short vacation to participate in the World Cup… but no big deal, right? Hallgrímsson and Lars Lagerbäck jointly managed the team in Euro 2016, and worked well together. We fully believe Heimir will do great things going forward. So far, he has managed the team to the World Cup…no small feat! Iceland’s national football team roster includes 23 dedicated, talented players. In the 2018 World Cup, Alfreð Finnbogason (born in Grindavík) and Gylfi Sigurðsson (born in Reykjavík) were the celebrated goal scorers. Other footballers that clocked a lot of time on the field during the world cup were Birkir Bjarnason, Aron Gunnarsson, Hannes Halldórsson, Hörður Magnússon, Birkir Sævarsson, Björn Sigurðarson, and Ragnar Sigurðsson. Our success in 2018 is an indication of how well the team works together, and we look forward to more achievements in the future! Like many national teams, Iceland has a devoted supporters group. Ours is called Tólfan (The Twelve), meaning the 12th man on the field. Tólfan was formed in 2007 by a group of diehard football fans. They thought that the Icelandic national team needed a group of people that supported them no matter what; for over ten years Tólfan has been giving the team inspiration to keep going. They sing and chant throughout the whole game to make sure their team–and the opponent–know that the twelfth man on the field is here! When the team was returning from France, thousands of Icelanders (including me!) came together to welcome them back home after their incredible performance in the Euro Cup. We of course performed the “HÚH” Viking chant, with our captain Aron Einar as the leader…all of Europe must have heard us! We were so incredibly proud, and we still are to this day. Check out the videos below! Learn the Viking chant here! I still cannot believe Iceland had a team in the WORLD CUP for the first time ever, it feels like a dream! But it happened, and the Icelandic team made us so proud. Now, let’s all say “HÚH” and GO ICELAND!